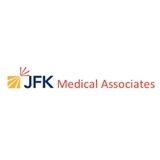 JFK Med Associates (Clark) - Book Appointment Online! Dr. Hernandez is everything I asked for in a gynecologist. Extremely warm, kind, caring, great bedside manner, thorough. I didn’t feel rushed at all, she was on top of getting me back the results, and overall I highly recommend her if you’re looking for a gynecologist. Total win!